The Brooks Glycerin is a definitive in the Brooks range and the 16th edition has made some substantial developments, making it the best model to date! It offers the ultimate cushioning and is built to endure the long miles. The new DNA LOFT transition zone makes every move from heel to toe extremely smooth and they have also fitted the 16’s with an inside sock liner that completely wraps the foot to adapt to your stride whilst running. 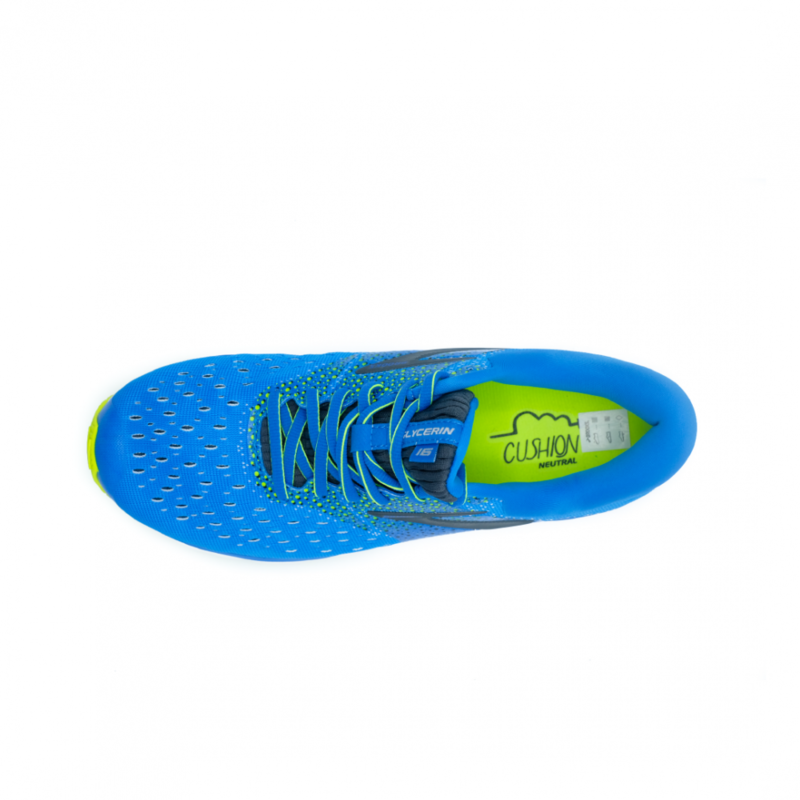 The Brooks Glycerin 16 Mens Running Shoes in Blue are the first shoes with the new DNA LOFT Cushioning that Brooks have recently released which creates for an incredibly soft ride underfoot without losing responsiveness and durability. Not only are the shoes visually appealing but the 3D print technology is infinitely breathable and stretches to adapt to the movement of your feet enhancing the fit and feel. The shoes final improvement is a smartly engineered Double Jacquard Mesh upper in a navy dark blue colour that is a stylish upgrade from previous models.